If you’re a regular reader of my blog then you’ll know that I love my skincare, almost as much as I love my makeup. Having great skin is the foundation to great makeup application and the secret to looking young and youthful. I love to try out new brands and different products to see what works best on my oily skin as its something that I find that I really need to keep on top of because it gets clogged quickly. When British made skincare brand, Merumaya, got in touch with me and asked if I’d like to try out a couple of taster sizes of their favourite products that they thought would be ideal for my skin, I said yes straight away. They sent over a balm cleanser and a face mask. The first of the two products that I tried out was the Merumaya Melting Cleansing Balm. I’d heard a lot about this product online as it has received some rave reviews and I can see why. 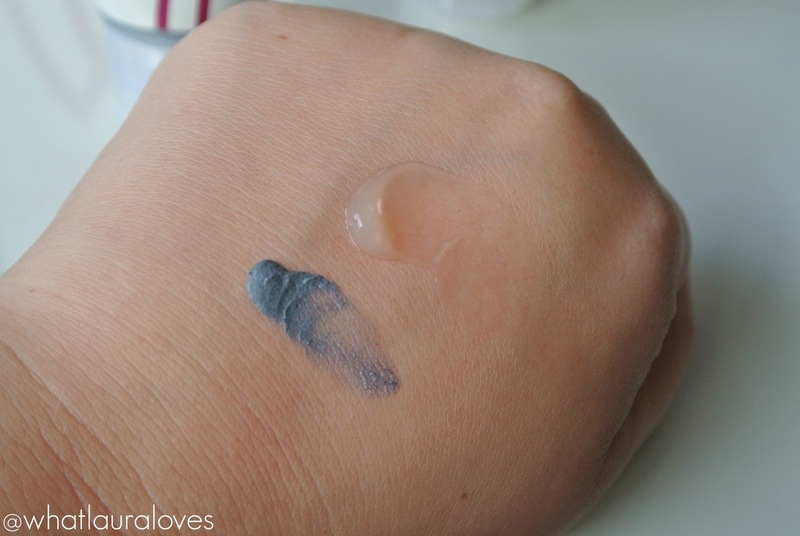 At the time of writing this post, I’ve actually used up the whole tube and for someone who doesn’t like balm cleansers, I’m really pleased with how well it performs. I have spoken a lot about my love for cream cleansers on my blog. I generally don’t like balm cleansers because they tend to be so thick and heavy on my skin, are hard to remove and leave my skin feeling as though it has a greasy residue on it. However the Merumaya Cleansing Balm is completely different. When you squeeze it out of the tube, while it is definitely a balm, it is a more runny than other balms that I’ve tried in the past that have seemed to hold the shape that they were dispensed in and they’ve really needed warming up between the palms before use. Whereas the Melting Cleansing Balm is ready to go. I use my fingers to massage it over the skin on my face and neck when it is dry. As I’m rubbing it in, I can feel it becoming more wet and slippy as it seems to turn into more of a liquid. This is where it is starting to break down the makeup on my face. Then I wet my fingertips and continue to massage the product into my skin, where I find that it starts to turn into a light milk. After that, I use a muslin cloth or flannel that I have ran under touchably hot water to polish away the remaining product, makeup and dirt from my skin. The cleansing balm removes all of the dirt and makeup from my skin incredibly effectively without leaving it feeling heavy, thick and clogged like the way that some balm cleansers leave my skin feeling. My skin feels exceptionally clean without feeling stripped and it is soft to the touch after using this cleansing balm. The Merumaya Cleansing Balm is completely different to any other balm cleanser that I’ve tried. Perhaps its because of the formula as it contains Sweet Almond Oil that thoroughly cleanses the skin while moisturising it and the Echium Oil in it helps to perfect lines and wrinkles while improving the elasticity of the skin. While I’m not ready to switch formulas and start using a cleansing balm over my cream cleansers anytime soon, this is definitely the best one I’ve ever tried and if I was going to recommend one to any of you then it would be this one. 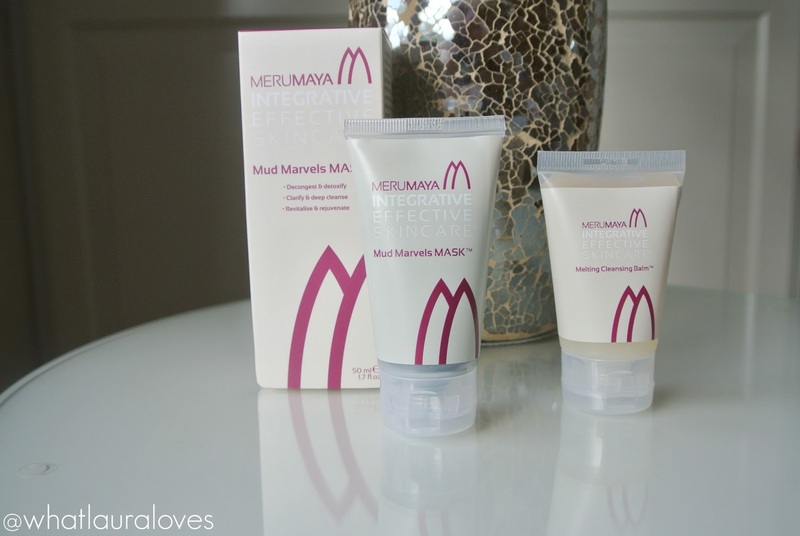 The other product that I tried out was the Merumaya Mud Marvels Mask which has just launched. Out of the two products, I was excited to try this one the most because I absolutely love face masks and having a pamper a couple of nights a week. This mask is designed to help control oily skin and complexions that are prone to spots and blemishes. It has a natural AHA complex that helps to reduce blemishes and lightly exfoliate the skin to slough away dead skin cell, leaving it looking brighter. From the very first use, I was so incredibly impressed by this mask and the results that I achieved through using it. It really holds its own when you squeeze it out of the tube and as you smooth it onto the skin, it feels thick, luxurious and seems to have a cooling effect. I leave the mask on my skin until it has fully hardened which takes about fifteen minutes. During this time, it has a tightening effect as it dries but it doesn’t feel too tight or uncomfortable at all, unlike the Origins Clear Improvement Mask (review here) which I love but it makes me feel as though I can’t move my face at all when I use it! It has a eucalyptus scent which is quite strong but not overpowering or unpleasant. Once the mask has set, I remove it with a muslin cloth/flannel that has been soak in touchably hot water and rung out. What sets this clay mask apart from other masks is that it is powered by Activated Charcoal which is treated with oxygen to improve its absorbency. The charcoal in the formula enables the mask to extract toxins from the skin, cleanse it deeply and unblock the pores, which the volcanic ash thats also in the formula will help with as well because it draws out impurities from the skin. If you’re wanting a mask that you can visibly see the results of from the first use then this is definitely it. I knew that the activated charcoal and the volcanic ash in the formula, together with the other ingredients, had worked because not only did my skin look a lot brighter and smoother, but the next day I woke up with some small pimples/white heads on my face. They weren’t large break outs but small little white heads that were easily removed from my skin so I could tell straight away that this mask had worked in terms of drawing out the dirt and bacteria from my skin. However something else that I noticed from this mask is that it is still nourishing on the skin. It contains a blend of nourishing oils, antioxidants and vitamins , including Oat Oil, Sweet Almond Oil, Vitamin E and Cocoa Butter, that help to support the skins natural lipid barrier and improve water retention. I’m so impressed with this mask and will definitely buy it again. Although its not the kind of product I’d use the night before a big event, I love how it really did clear out my skin, with noticeable results. I also feel as though it balanced my skin without stripping it and it definitely made it look a lot brighter, more youthful and healthy. You can shop the Merumaya skincare line on their website here as well as from John Lewis here and here. 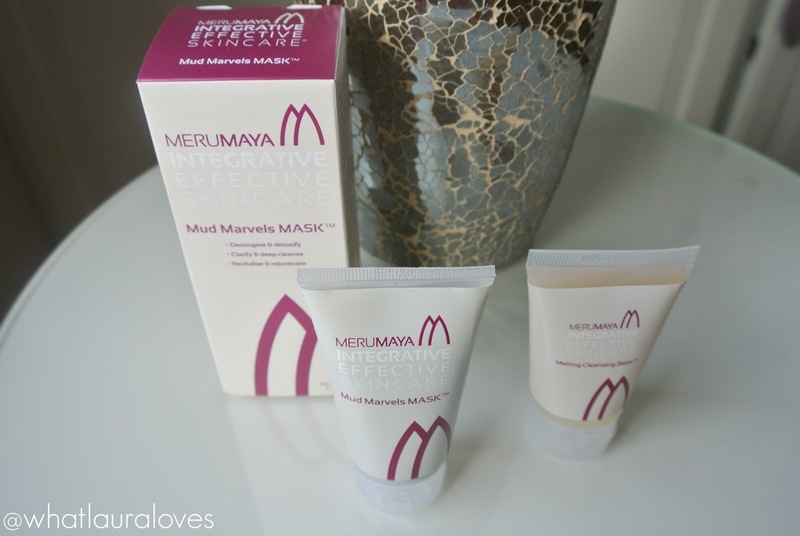 What are your favourite Merumaya skincare products? Finding a good mask that is worth the expense (without having to shell out tons of cash) is never easy…but after reading your review I think I'm going to have to give this a try! This sounds great, I haven't used facemasks in year, but my skin is really all over the place since I had my daughter and it needs sorting out. I am going to have a look at these! I haven't used a face mask in such a long time! I am going to have to give one a try soon. This stuff sounds fab! I love a good cleansing balm and face mask. I love cleansing balms and this one sounds wonderful! Products look great. I love my skincare products too. The mud mask is a crazy colour , does it leave blue stains around the hairline at all? I have the muld mask and I totally love it! I think is far best one I had actually!